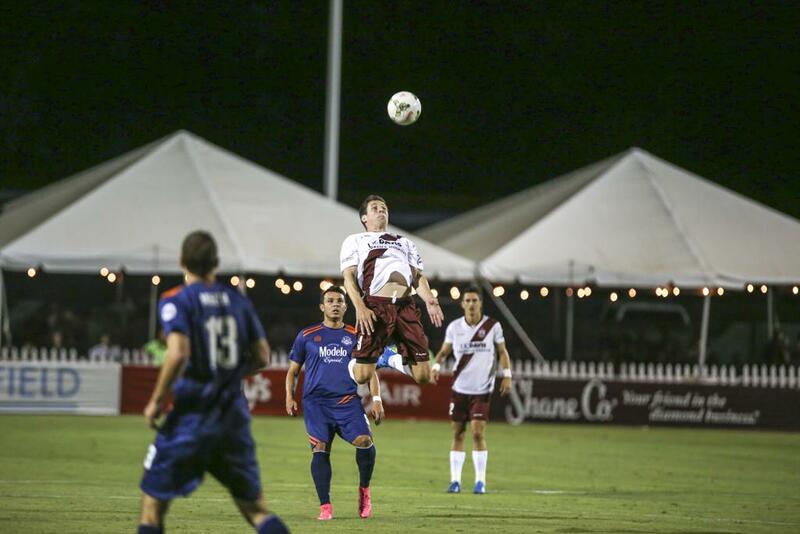 Despite controlling the possession for the majority of the first 30 minutes of the match, Republic FC was unable to put the ball past Tulsa Roughnecks FC goalkeeper Jake Feener. Republic FC’s best opportunity came in the 28th minute when a James Kiffe cross just grazed Tommy Stewart’s head, landing right at the feet of Republic FC captain Justin Braun whose shot sailed over the cross bar. 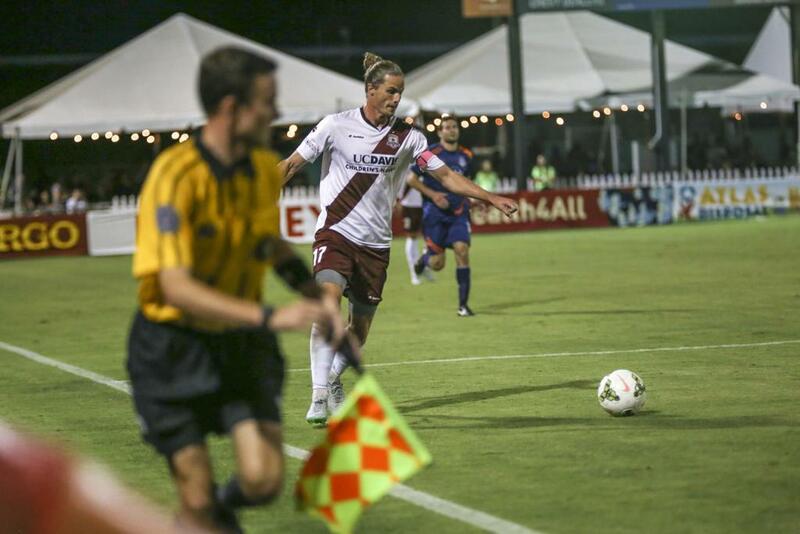 Republic FC fell behind in the 33rd minute after Kiffe was called for a foul in the box. Roughnecks FC forward Sammy Ochoa stepped up and sent a strong right footed shot into the right side of the net. In the 41st minute an Emrah Klimenta cross almost snuck into the upper left hand corner of the goal before being cleared for a corner by the Tulsa defense. Republic FC found its equalizer on the ensuing corner kick, when a clearance by Tulsa found Danny Barrera at the top of the box. Barrera fired a right-footed strike into the back of the net, evening the score at 1-1. Recently loaned midfielder Tommy Thompson put Republic FC ahead just before halftime, finishing a Klimenta cross after a nice combination play with Rodrigo Lopez at the top of the box in the 45th minute. The goal was Thompson’s first professional goal. Republic FC continued to dominate possession in the second half of play, coming close to putting the game away several times, as Klimenta, Lopez and Thompson created several scoring opportunities. Mark Sherrod, another loanee from the San Jose Earthquakes put the game away in the 84th minute on a quick counter. Sharrod received a Thompson ball on the right side of the box and slipping it just in past the fingers of Feener and into the right post, putting Republic FC ahead 3-1. 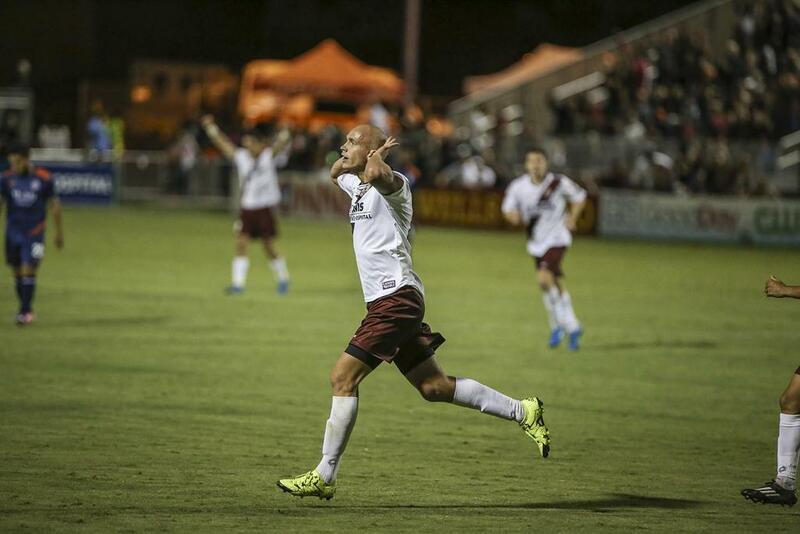 The win was the first for Republic FC since its 2-0 victory against Seattle Sounders FC 2 on August 1st. 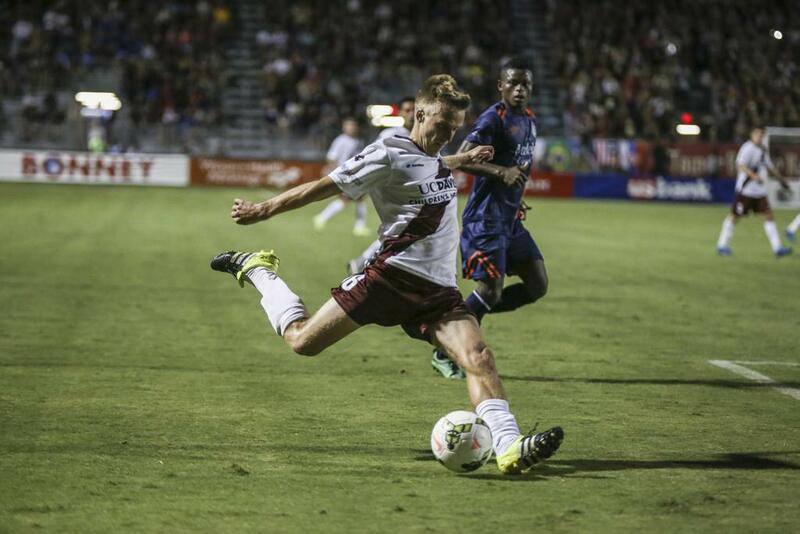 Republic FC moved into the sixth and final Western Conference playoff spot, two points ahead of the Roughnecks and just five points behind first place Oklahoma City Energy FC. 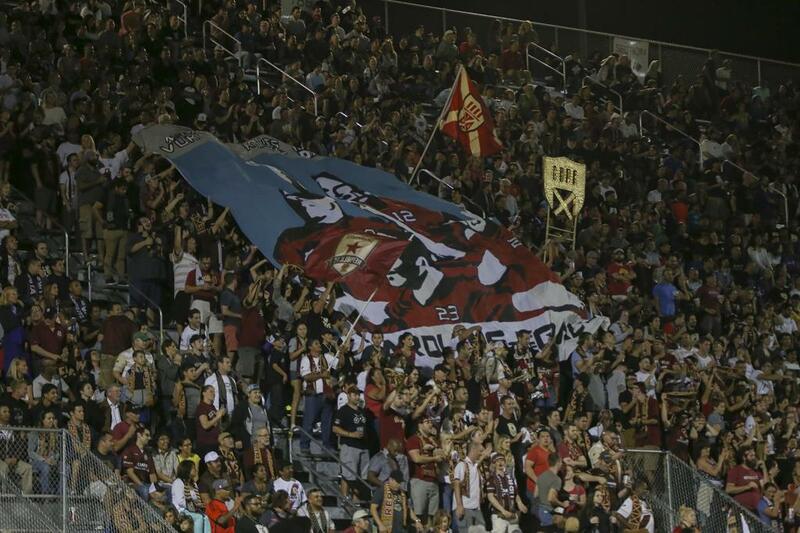 Republic FC will travel to Thunderbird Stadium to face Vancouver Whitecaps FC 2 on Sunday, September 6. Kickoff is 3:00 p.m. PDT. Tulsa Roughnecks FC – Jake Feener; Ben Brewster (Adam Black 59), Ryan Price, Kyle Venter, Steven Miller; Brady Ballew, Chad Bond, Henri Manhebo (Laurie Bell 87), Lucas Cordiero (Kyrian Kidd 64); Oscar Jimenez (Cristian Mata 81), Sammy Ochoa. Stats: Shots: 9, Shots on Goal: 4, Saves: 4, Fouls: 10, Corner Kicks: 8, Offside: 1. Sacramento Republic FC – Patrick McLain; Emrah Klimenta, Mickey Daly, Nemanja Vuković, James Kiffe; JJ Koval, Tommy Thompson (Gabe Gissie 87), Danny Barrera, Rodrigo Lopez (Cameron Iwasa 90); Thomas Stewart (Agustin Cazarez 64), Justin Braun (Mark Sherrod 46). Subs Not Used: Dominik Jakubek, Derek Foran, Joaquin Rivas. Stats: Shots: 20, Shots on Goal: 7, Saves: 3, Fouls: 8, Corner Kicks: 6, Offside: 3.